Urban sprawl has radically transformed Southern European landscapes. Nowadays, sprawl is a major benefiting factor in the daily lives of thousands of people and its mismanagement reflects relevant social and economic issues. For these reasons, a specific effort should be made to identify contributing factors and set up suitable indicators informing strategies of sustainable urban growth. 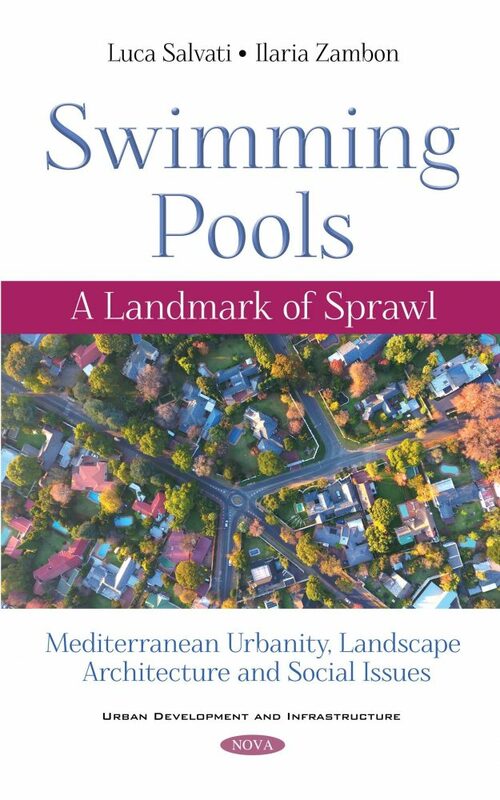 This book proposes an original interpretation of contemporary metropolitan contexts, candidating residential swimming pools as a landmark of urban sprawl. Detached houses, backyard pools and private gardens reflect a landscape with peculiar social, political and cultural dynamics. Comparing the spatial distribution of swimming pools with appropriate background indicators may explain how sprawl has occurred in three representative cities of Southern Europe (Barcelona, Rome and Athens), proposing future strategies for urban sustainability. The authors’ study verifies whether or not swimming pools are a useful tool for monitoring sprawl pattern and processes, clarifying the major challenges that society faces in managing peri-urban land.